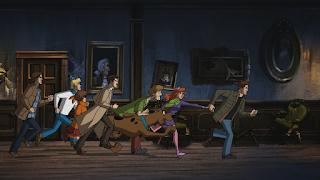 Typically when we get around to this time of year, close to the start of another season of most of TV, but also of Supernatural, which obviously is the focus here, I write up a list of my five favorite episodes of the season. But as has been the case with many of the more recent seasons, the episodes really all start to blur together to the point where I only remember actual episode details of maybe one or two without any prompting. This didn't used to be the case. I still remember details from many of the earlier season episodes easily even now when I haven't watched them in years. It's strange, really, that Supernatural has become something of a phenomenon recently, with a steady popularity that, to me, may result from some older fans falling off, and newer fans finding the show now. Back when it first started, fans were taking to Livejournal communities to profess their love, finding their fandom friends when it seemed like no one in the real world had even heard of the show. Today, most people have heard of it, and honestly I'm not sure where the fandom goes anymore for the same kind of camaraderie that Livejournal offered back in the mid-2000s. All of this is to say that while I could spend the time to really jog my memory about what were my top five episodes of this past season, I don't really want to. I've been avoiding it all summer, in fact. The show doesn't instill the same kind of love in me that it used to, which I know I've talked about on here before, and I don't want to praise something on my personal blog that I don't really believe in anymore. It's a question every season - do I continue recapping, or do I stop? Do I keep on until what has definitely become the bitter end, or hang up my hat now and call it a day? 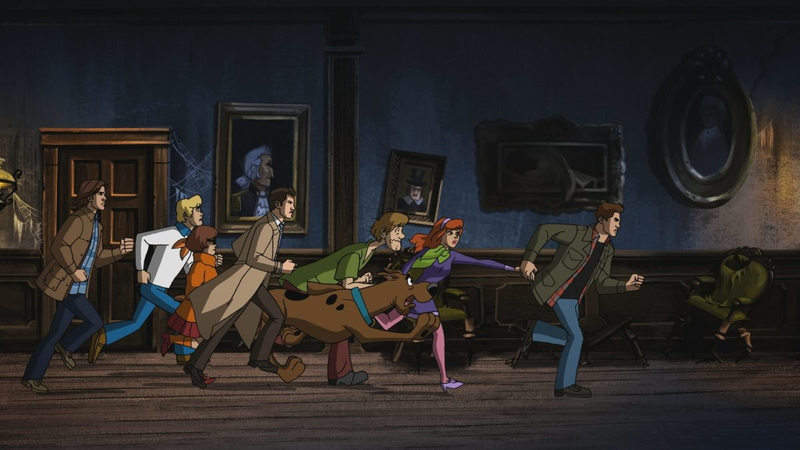 If there was one episode from this season that I truly enjoyed, it was ScoobyNatural. It was goofy and fun and if you had watched any Scooby Doo growing up, had a lot of references that were enjoyable. It probably deserves to be in the top 50 somewhere, though I'm not sure it would be suuuuper high. 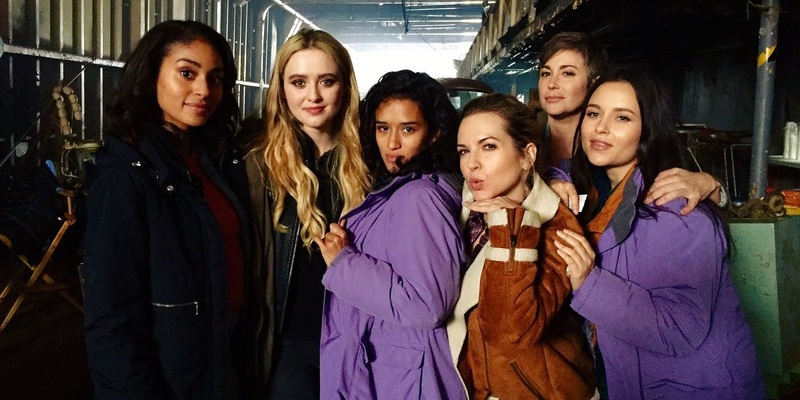 I also remember the Wayward Sisters episode, though is it one of the best, really? Or is it just memorable because of all the hubbub around it? Jack was a good addition to the season, I wasn't expecting to like him, but almost from the beginning I did. 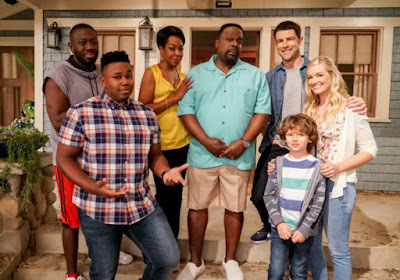 At the same time, this season was yet again about bringing back a bunch of dead characters. I'm over it. No death has any stakes anymore. And the end of the season with Dean becoming a vessel for Michael truly came nearly out of left field with barely any hinting that angel vessels were going to become important again. Gabriel came back. Rowena came back. Lucifer was around yet again. "Yet again" is a problem, because honestly, what can the show do anymore that isn't a retread of something it's already done? With that, I shall sign off for today. Should I still recap season fourteen? Do people actually enjoy reading them when they are mostly sarcastic and point out the problems? For me, these are not rhetorical questions, so if you're reading this and have an opinion, please do leave it in the comments or hit me up on Twitter or the Facebook page. I enjoy reading your posts though it is often weeks or months later when we see the episodes in the UK. I enjoyed this season very much and loved Jack and was pleased Rowena returned. Thanks for the comment, Linda! Always good to hear that people enjoy my posts. Jack was a nice addition to the cast, and I think Rowena is better when she's more on the boys' side, so that was a good development for her as well.